when cicero said "man is his own worst enemy", he couldn’t have known how right he was! – man has ravaged, exploited and degraded the environment so much that if it continues, he would soon be as extinct as the other flora and fauna that he has made / is making extinct everyday!!! Since mid 2005 i strive, through my photographs, to create many "conservation converts" so that we can hope to maintain what we have left of this beautiful planet that is our home!!! I am tired of hearing all the time the good old saying..."a good photograph has to tell a story" or the even older "a picture speaks more than a thousand words". my question is why? in the good old days photography was limited to a few genres. portraiture, photojournalism, family photographs (births, deaths, holidays…), commercial etc. i agree all these need to tell a compelling story to catch the eye of the viewer. henri cartier-bresson’s photographs or raghu rai's famous photograph of a dead half buried baby in the Bhopal gas tragedy both told a story as well as spoke much more than a thousand words. but today, photography has moved on. it transcends the old perspective of photography as just a medium to catch a moment in time. yes it does capture a moment in time but does it have to tell a story? my contention is that a new genre of photography is emerging into the limelight (it has existed for quite some time now) – photography as creative art form. here the photographer uses the camera like a tool as much like a painter uses his brush and canvas and creates an art form. as with all art forms, a creative photograph is supposed to evoke emotions not tell any stories. a hussain or a da vinci painting doesn’t say any stories nor does it speak more than a thousand words. yet it invokes strong emotions in the viewer. so why does a photograph have to be any different – just because photojournalists ruled the roost for so long? or is it because photography is still not considered an art form? to me photography is an art form – an expression of my creative mind’s eye as I see my subject – in my case nature. i try and see beyond the obvious to document the unseen so to speak. It is to bring out the beauty of nature in a different perspective – the way my mind’s eye sees it. 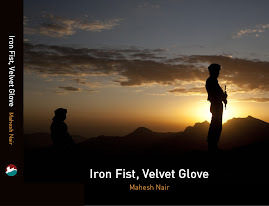 Iron Fist, Velvet Glove is a photo journey that provides an insight into the lives of the soldiers of the Indian Army. As the name suggests, it attempts to showcase the two different and diametrically opposite facets of the lives of our soldiers, especially in the far-flung and remote areas adjoining our borders with China, Pakistan, Burma and Bangladesh. On one hand, the soldiers lead a difficult life in these inhospitable terrains, even during peacetime on account of inclement weather or militancy. On the other hand, in many remote areas where the civil administration struggles to provide the locals with amenities such as healthcare, transportation, education and sometimes even food, the army steps in with their social initiatives under the Sadbhavana banner. This book is an attempt to discover the dichotomy through a photo journey captured through the eyes of the photographer as he travelled in these areas. 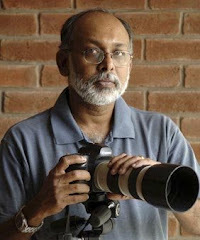 ...let there be light explores the beauty of nature as captured through the lens of mahesh nair. light, unquestionably, is the most critical component in most art forms, especially photography. by using light to dramatise and highlight the beauty of nature, these photographs paint a unique picture of the natural world around us. the book, however, goes beyond showcasing nature’s beauty. it explores the meaning of light in the different facets of our life through the writings of eminent experts. the book journeys through the importance of light in artistic fields like cinematography, painting and dance to the meaning of light in physics and even eye surgery. light has a great place in philosophy and this is captured in the related hymns from the rg veda. in essence, light as the giver and preserver of life on earth is brought out thematically in every page of this book. 2004 was a turning point in my life. '04 June i bought a camera for a trip to yellowstone park with my family. during that trip I discovered a passion and possibly some "talent" for photography that was so hidden that i never knew it existed for 43 years!!! early 2005 i found myself at a cross road. the acquisition of spectramind, the bpo company i helped found was over i had two options. one was continue with the corporate life in yet another company, maybe yet another start-up, or I could forget all that and follow my heart - my heart won and in june ‘05 i quit the corporate world after 19 odd years. i also decided to award myself my new cxo title - cdo (for those uninitiated into the arcane world of corporate life, cdo stands for corporate drop out). since then i have been a full time nature and wildlife photographer. my travels take me to many remote areas away from the hustle and bustle of cities where I can take the time to enjoy and capture the beauty that nature has to offer us. When I am not making my wife’s and son’s life miserable, i also work with conservation organizations like WWF to contribute my little mite to at least keep what we have left of this world.